As a beginner, you must have stumbled upon these two methods - AddMvc() and AddMvcCore() - in the ConfigureServices() of the Startup class. you must have wondered about the difference between them. This article quickly points out the difference between the two. 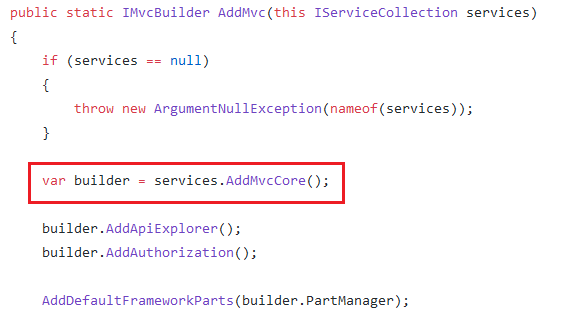 If you open the Startup class and go to its ConfigureServices() method you will find two methods in the IServiceCollection - AddMvc() and AddMvcCore(). The following figure shows them in the Visual Studio editor. To understand the difference between these two extension methods let's see their source code from the GitHub repository. The source code of AddMvc() method can be found here and that of AddMvcCore() can be found here. I wont go into the details of this method. It suffices to say that AddMvcCore() performs certain basic operations such as controller management and routing. Notice that AddMvc() calls AddMvcCore(). So, obviously AddMvc() provides more functionality than AddMvcCore(). If you carefully observe the source code of AddMvc() you will find that it adds more features such as CORS support, Razor View Engine, data annotations, Cache tag helper, and the JSON formatter. Ok. Now you know the difference between AddMvc() and AddMvcCore(). 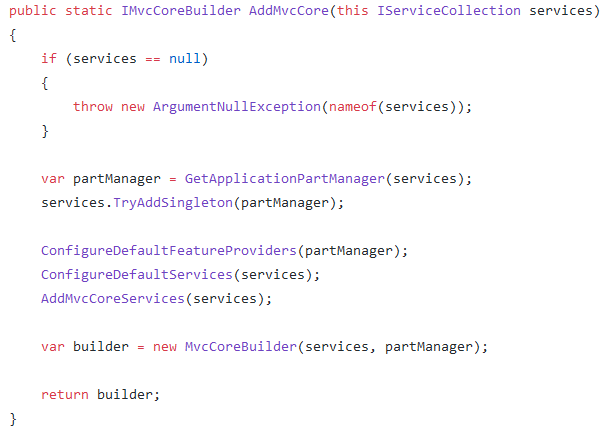 But what will happen if you try to use AddMvcCore() instead of AddMvc()? 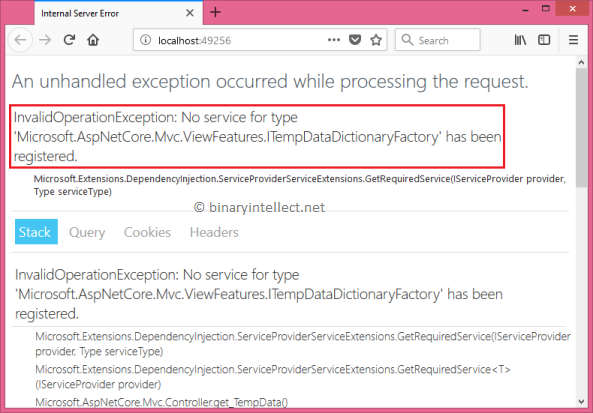 This error indicates that view related features are not available for our application. And that's because we used AddMvcCore() instead of AddMvc().